January | 2015 | Home Wise! Family Smart! The American Burn Association give the following information to protect children from burns. My children were only ages 6, 4 and 2 when their dad and I separated. After a year of counseling and mediation, we divorced. Twenty years later, my divorce is still something I don’t talk about very often. What is important to share is how important it was to shift from focusing on the issues my ex-husband and I had as a couple, to making sure we stayed partners raising our children. As divorced or separated parents, we don’t always realize the amount of pain a child feels – no matter what their age. Recently, we were contacted by a volunteer who works with homeschool students. One of the students shared his feelings about divorce and how he sometimes felt caught in the middle. This student happened to find our Nebraska Extension resources on-line and wanted to share something he also had found helpful especially from the child’s perspective: “When a Child of Divorce Visits Parents: Think of the Child” (here’s the **link ). Nebraska Extension offers programs and resources for families who are going through a divorce, custody modification or paternity proceedings. Co-Parenting for Successful Kids is a class focusing on helping parents understand the impact on their children and provide concrete steps parents can take to help their children succeed through the process. These classes are held throughout Nebraska and are available on-line. 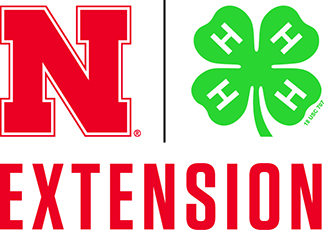 If you live outside of Nebraska, contact your local extension office to see if there are similar programs in your state. Happy Birthday! We’re going to have chicks! One of the most exciting, hands-on and science-based 4-H School Enrichment programs in our office is 4-H Embryology. Hundreds of local third grade classrooms in Lancaster County, Nebraska study the science of embryology and learn life skills by hatching chicks in their classrooms. We’re on the first session of 4-H Embryology – eggs have been in classroom incubators since the first week of January. When bringing the eggs, our staff teach children about growth and development of an embryo, how to take care of the eggs and chicks after they hatch. Our staff also candle the eggs so the children can see the embryo growing inside the egg. Personally, I love teaching this session! Seeing the wonder on the student’s faces when they see the small embryo move and the blood vessels growing in the egg is priceless! These eggs on camera now are scheduled to hatch January 27-28 but we’ve already got pipping in our office incubators! Pipping is when the chick breaks through the shell of the egg. After pipping through, it will take another 4-6 hours for the chicks to hatch. Remember – If you don’t live in Lancaster County, Nebraska, please make sure to check out your local extension office too. Your extension office has resources for you, your family and community. To find your local office, visit http://lancaster.unl.edu/office/locate.shtml (nationwide listing). The February issue of The NEBLINE newsletter is now on-line. Timely articles for you and your family! Here are some of the articles featured in this issue – – – – Visit http://lancaster.unl.edu/nebline and click on the link to the February 2015 NEBLINE! Who Mentors Your Children and Grandchildren?